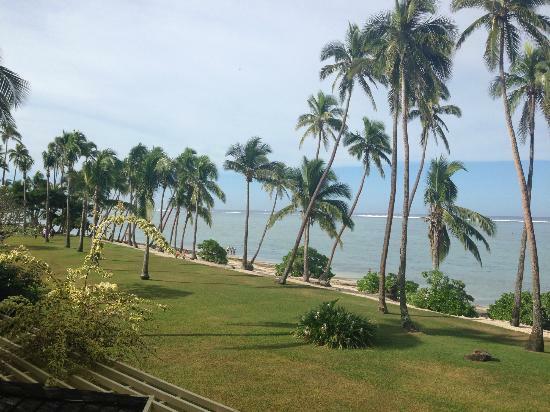 Want to discover one of the best Fiji family resorts? Find out about Shangri La Fiji, one of Fiji's premiere resorts commanding it's own island. - Who does Shangri-La suit? Who does Shangri La suit? Shangri La Fiji suits families and those that want plenty to do in one spot, in a comfortable atmosphere. The resort has everything you would ever want from a plethora of activities to three swimming pools to various cultural attractions accessible on the mainland. Be wary, the resort also comes with droves of noisy kids. It would not suit those wanting a quiet romantic getaway, a peaceful remote holiday, or those wanting the famed white pristine sand experience. 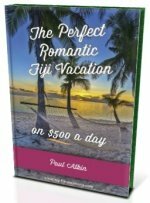 There are plenty of other options for that, which you can find starting at our Fiji Resorts section. Shangri-La Resort Fiji is located on it's own private island, Yanuca Island, just off the main island of Viti Levu. 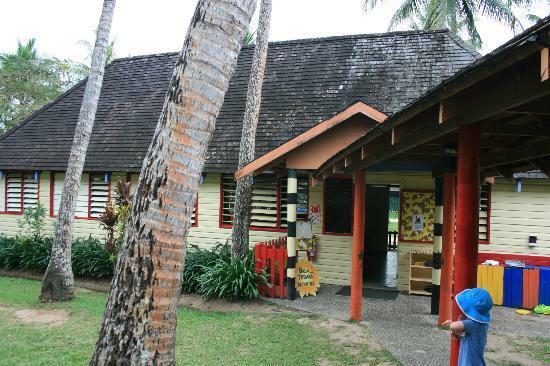 It's connected to the mainland via a 150m causeway, and is just 11km from Coral Coast's tourist hub town of Sigatoka. Your international flight should arrive at Nadi International Airport (double check upon booking) and then you will need a land transfer which takes about 50 minutes. Visit our Transfers from Nadi Airport for more information. All 442 suites and rooms are comfortable and tastefully furnished. The biggest factor in making your Fiji vacation/holiday is the location of your room, given the size of Shangri La Resort Fiji. Those with young kids might want the ground floor and to be closer to the restaurants and pool(s), but will probably be noisier. Interconnecting rooms will suit bigger families. For better views, opt for ocean view rooms or bures, it should be quieter but will probaby be further away from amenities. 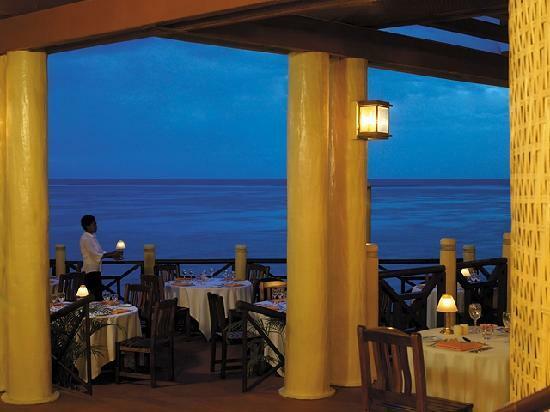 You won't go hungry at Shangri-La Resort Fiji. There are five restaurants, two bars, and a cafe to suit all tastes. In-room dining doesn't stop. There are more activities available than you can poke a stick at. An exhaustive range from sea activities featuring diving and kayaking, to sports with rugby and cricket, to golf and a health club. There are three swimming pools including one adult and one children's. There are activities scheduled daily from early morning to into the night. Start you day with morning activities such as walks, aerobics, and bike rides. Afternoon time will give you a range of activities from sports to basket weaving and pottery making. After all of that, you might be able to get yourself up for some dancing at night. 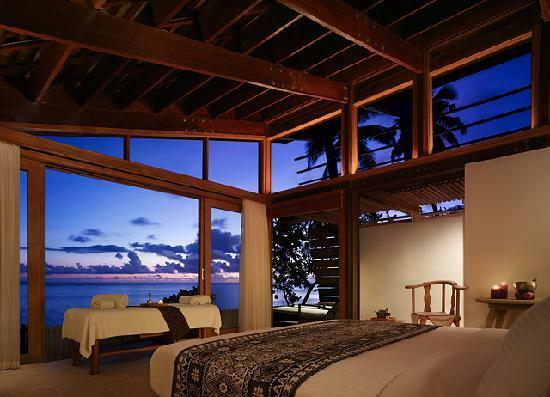 CHI is the name of the spa at Shangri La Fiji. Open from 9am-9:30pm, it offers massages and treatments using traditional Asian practices. Shangri La Resort Fiji has everything, even it's own on-island 9-hole golf course. 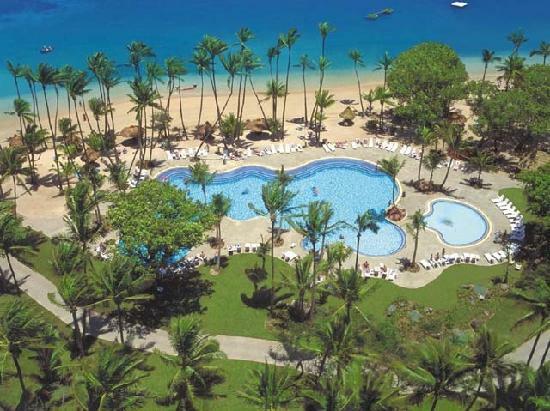 Shangri-La is one of Fiji's premiere family resorts. It's kid's club 'Little Chief's Club' will keep your kids entertained all day while you can take some time out to relax. There is a children's meal plan which will ease the organising of food for the kiddies. A designated kids pool is located in the main pool area. On offer are various packages and plans. You are looking at a base rate of about FJ$300 + 20% tax per night (currency converter). 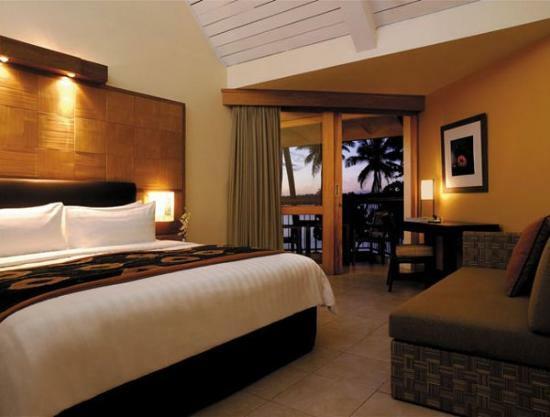 Visit the Shangri-La Fijian Resort's site for more information.